"Sampath Speaking" - the thoughts of an Insurer from Thiruvallikkeni: Apartheid .. Arosa.... Rebel tours..... Croft, King, Rowe, and more... !! Apartheid .. Arosa.... Rebel tours..... Croft, King, Rowe, and more... !! … but that was not the truth ! as one could recall the mighty West Indies had battery of pace bowlers who terrorized every other team with the speed, bouncers and hits…. In WC 1983, it was fearsome – Malcolm Marshall, Andy Roberts, Joel Garner and Michael Holding…… one name missing from the earlier tourney was – Colin Croft another tough customer ! During the apartheid regime in South Africa, there were 7 tours called rebel tours – because SA had been banned from International cricket and the Boards of the Countries concerned also banned the players participating in such tournaments. No Indian participated in any of these rebel tours nor went for the Kerry Packer circus. These tours were organised and conducted in spite of the express disapproval of national cricket boards and governments and were the subject of enormous contemporaneous controversy and remain a sensitive topic throughout the cricket-playing world. In my post had written about Basil D’Oliveira affair. After Olympics in 1968, only white athletes had been allowed to represent South Africa in international sport. This position reflected their apartheid society (1948 onwards) and racist social conventions pre-dating apartheid. After a decade’s isolation, cricket in the republic was weak. Standards, attendances and child participation were all falling. Overseas the game had been revolutionised by the World Cup and World Series Cricket but isolation had deprived South Africa of these commercial and competitive engines. Then in 1979 Doug Insole, an English representative on the ICC, told SACU’s Dr Ali Bacher: 'Until apartheid goes, you can forget about getting back into world cricket.' So the SA administrators decided to entice foreign players by paying them substantially. These rebels would play ‘unofficial’ internationals against a Springbok team who considered themselves as strong as any team in world cricket except the West Indies. The first major tour was by an English team led by Graham Gooch in March 1982. Twelve cricketers, 11 of them with Test caps, had agreed in secret to make a one-month tour of the republic. The news only broke when they arrived in Johannesburg. The players expected a brief public outcry and ICC slap on the wrist. Instead they were the subject of global outrage among press and politicians, and labelled ‘the Dirty Dozen’ in the Houses of Parliament. These suspensions ended the careers of more than half the squad including Geoffrey Boycott, the world’s leading Test run-scorer ~ but some of the squad could still return and represent later in Tests is another news. To those who felt ‘apartheid’ would be seen as cruel by blacks, came the body blow later as team from West Indies made rebel tours. The West Indian players were mainly talented understudies struggling to break into the great West Indian Test team of the period, or men past their prime as Test players. First-class cricketers in the West Indies were then poorly paid and the participants, many of whom had irregular or no employment in the off-season, received between US$100,000 and $120,000 dollars for the two tours. West Indies cricket was so strong that Clive Lloyd had little need for the likes of Lawrence Rowe, Collis King and Sylvester Clarke. Rowe has since stated that he and several other players were disillusioned with the West Indies Cricket board for not selecting them despite good performances. The West Indian pacers did dominate but back home a fierce battle raged – over the wisdom of the rebels who insisted that they intended showing white South Africa that black men were their equals as the republic stumbled towards democracy; their detractors stated that they sold themselves and their dignity to extend financial career. Those tours had many of those who had earlier toured India under Alvin Kalicharran like, Alvin Greenidge, Chang, Sylvester Clarke, Padmore Favoud Bacchus…. Herbert Chang was of Chinese origin, played his lonely test at Chepauk and left bleeding by a Karsan Ghavri bouncer is fresh in my mind. 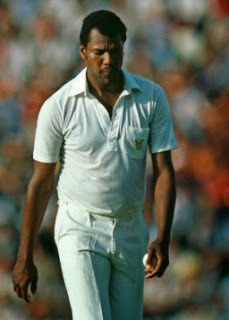 Lawrence Rowe averaged 43.55 from 30 Tests with seven centuries including a world record double and single hundred on debut in 1972 at Sabina Park. The right-handed Rowe, regarded as one of the world’s most elegant batsmen, was an enigmatic, elegant and composed player, whose career was often affected by injuries, an eyesight problem and an allergy to grass ~ his 302 against England in Barbados in 1974 was poetry in motion. In Mar 1974, his flat batted hit of Bob Willis created a sensation as it reportedly travelled flat at the head height all the way for a six. The man who was crowd’s favourite before Viv Richards was shunned after that rebel tour. Rising star Stephenson was only 23 in 1983, with a promising career in front of him. He had repeatedly turned down offers to play in South Africa. But the day the team left, Stephenson had a change of heart. He is quoted as saying that "When we got to South Africa, I realized that separation, and it wasn't only black and white," he said. "It's the language that you speak, the area that you live in, and it's what you're allowed to do, and where you can go. So the divisions were very real when we got there." At that time, they were playing in a country where no black man had ever seen a black person in competition with a white person, and beating them. Back home in the Caribbean, the reaction was worse. A deep sense of betrayal cut through the Caribbean. Cricketers who were once viewed as heroes were now seen as sellouts. Now recently the Players Pavilion at Sabina was named after former Jamaican West Indies batsman Lawrence George Rowe but not without controversy as he was a rebel. 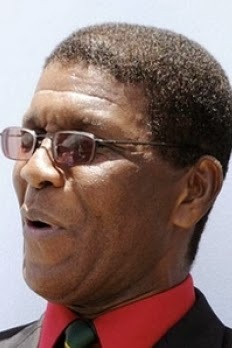 The Northern and Southern ends of the ground were also named after former Jamaica and West Indies fast bowling greats Michael Holding and Courtney Walsh, but the 62-year-old Rowe issued a public apology yesterday for his involvement in the two Rebel tours to the then Apartheid ruled South Africa in 1983 and 1984. Then in mid 1980s, Kim Hughes who left the National side in tears led a team that included Terry Alderman, Rodney Hogg and Carl Rackemann, spinners Trevor Hohns and Tom Hogan opening batsman John Dyson and Steve Smith, weakening the official Australian Test side by depriving it of several of its best players. The tour prompted Australian prime minister Bob Hawke to call the group "traitors" and in retrospect has been called "one of the most painful and traumatic moments in Australian cricket history. Kepler Wessels played for the Australian team on their second tour. Vessels made his debut for Australia against Pakistan and was alter to play for his home South Africa too in Tests – unique. In 1990, the final tour was led by former England captain Mike Gatting and included Tim Robinson, Bill Athey and Chris Broad, wicketkeeper Bruce French, and the fast bowlers Paul Jarvis, Graham Dilley and Neil Foster. Most of the squad did not play for England again. Gatting served a three-year ban from Test cricket before his recall to the England side for the tour of India and Sri Lanka in 1992–93, along with John Emburey and Paul Jarvis. Emburey made both rebel tours and served two suspensions. The last tour was a financial disaster too as it coincided with the "unbanning" of the African National Congress and the release from prison of Nelson Mandela. As South Africa began the dismantling of apartheid, Ali Bacher was surprised at the scale of the mass demonstrations against the tour as previous rebel tours had passed smoothly in the country. The second tour scheduled for 1990-91 was cancelled. Then South Africa returns to international cricket and as I posted earlier, in 1991 played their first ODI at Koklatta marking their return….. there were 11 debutants – 10 from South African side (Kepler Vessels had earlier played for Australia) and 1 – Praveen Amre from India. Sachin Tendulkar was the man of the match. ~ and do you know that one man’s presence threatened and pulled down a Caribbean tour years later…. More on that in another post.